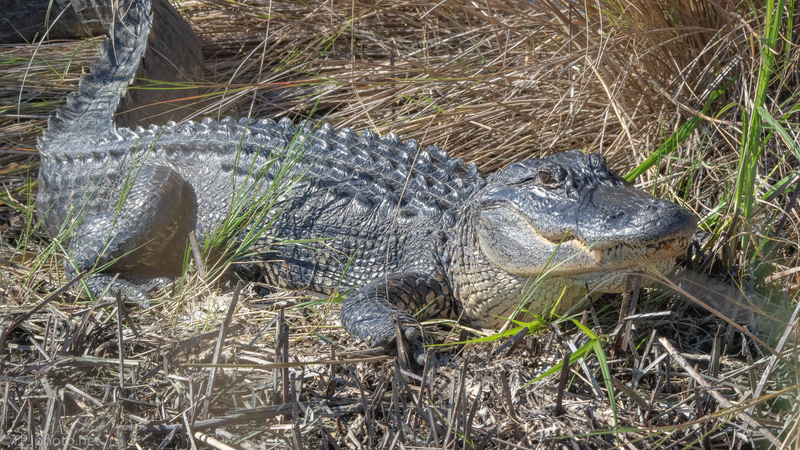 This part of the series, a single days photographs of Alligators, was taken as we reached a little past the middle of the dike. From here you can see the far end. Nothing was obvious up there so it was more interesting to walk back view the rest of the Alligators. 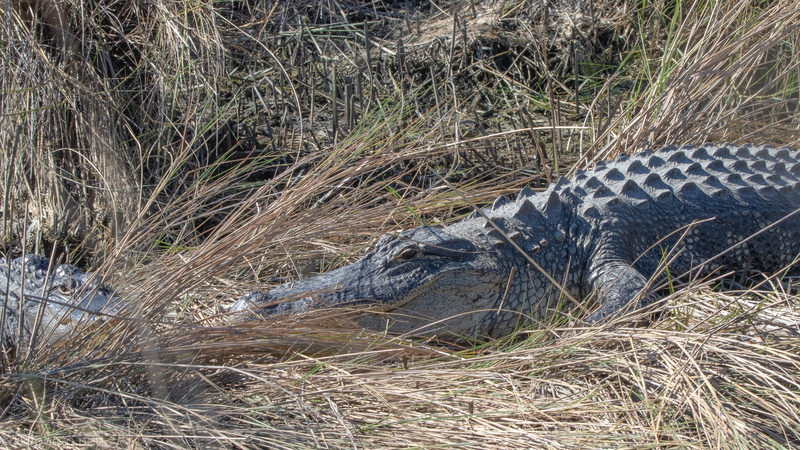 The best description is piles of big gators were right off the trail. I just walked back photographing each small reed island. They all had at least 2 large locals watching us.